Start in child’s pose, this is a great way to begin or end a sequence. It gently stretches your lower back, relaxes your spine, shoulders and neck plus it calms the mind. Hold here for 5 breaths. Move on to all fours also known as table top, preparing for cow/cat to warm up the spine. Check your alignment, stack your shoulders over your wrists and hips over knees. Engage your core. 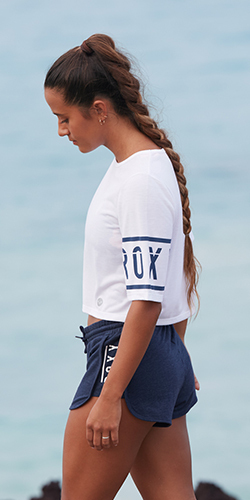 Exhale, tuck your chin toward your chest and round your back toward the sky. Continue the flow between cow/cat for ten rounds of breath, linking one breath per movement. Return to table top, tuck your toes and exhale, downward facing dog; send your hips high to sky. To warm up and stretch the hips, alternate bending one knee while keeping the other leg straight. Return to still down dog. Repeat 5-10 times. Standing at the top of your mat, step your right foot back to a lunge and turn your right foot into a 90-degree angle. Stretch your arms out either side, parallel to the mat, into Warrior 2 pose. Lower your back hand onto your leg, inhale and extend the front arm up towards the sky. 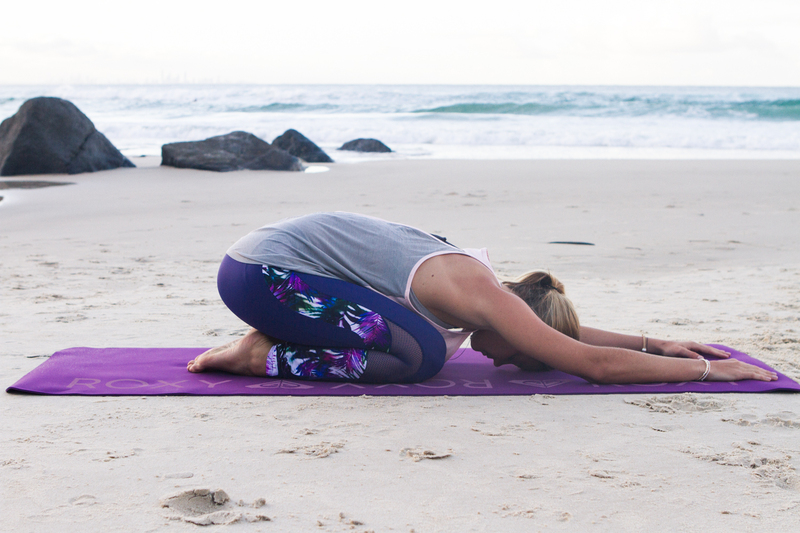 Hold and breathe in this pose for 4-5 breaths before swapping to the other side. After completing reverse warrior, while still in lunge, lower your hands to either side of your forward foot, in line with your shoulders and step your forward foot back to high plank. 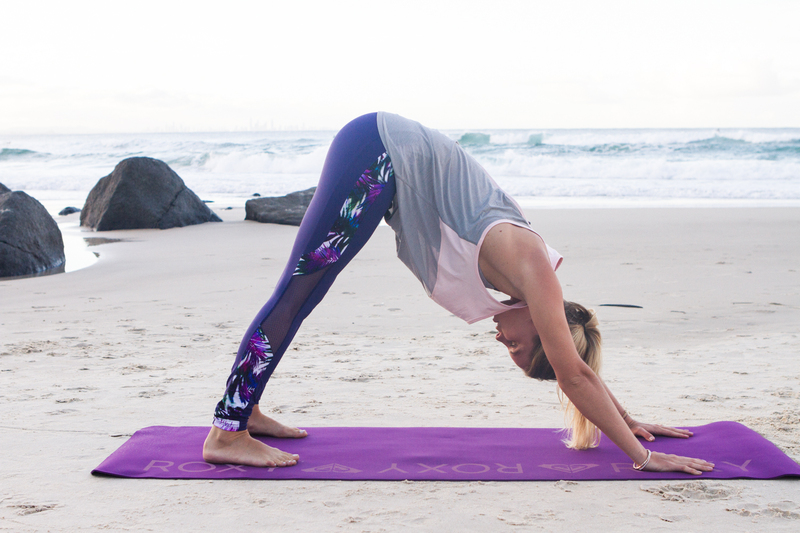 Lower yourself slowly to low plank, hold for one breath and glide into upward facing dog by flattening your feet to the mat and pushing your arms up. 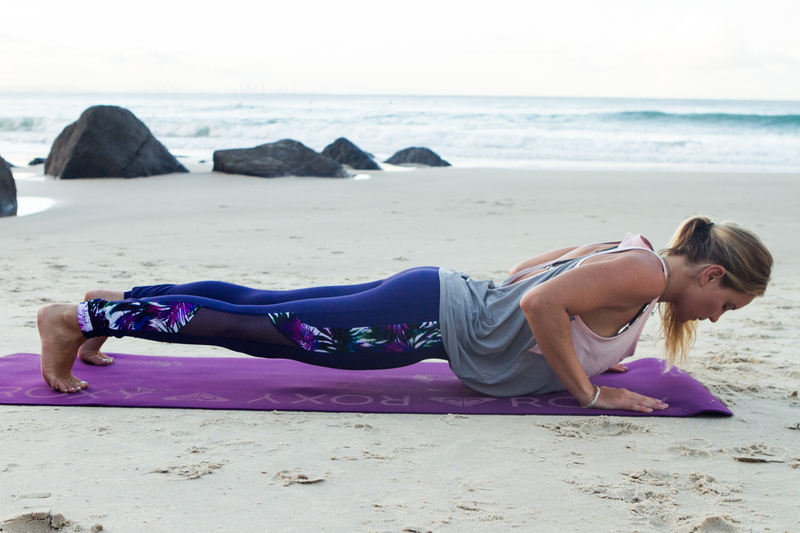 Hold for 2-3 breaths before lowering back to plank, tucking your toes under and pushing back up into down dog. Repeat these four moves 2-3 times. 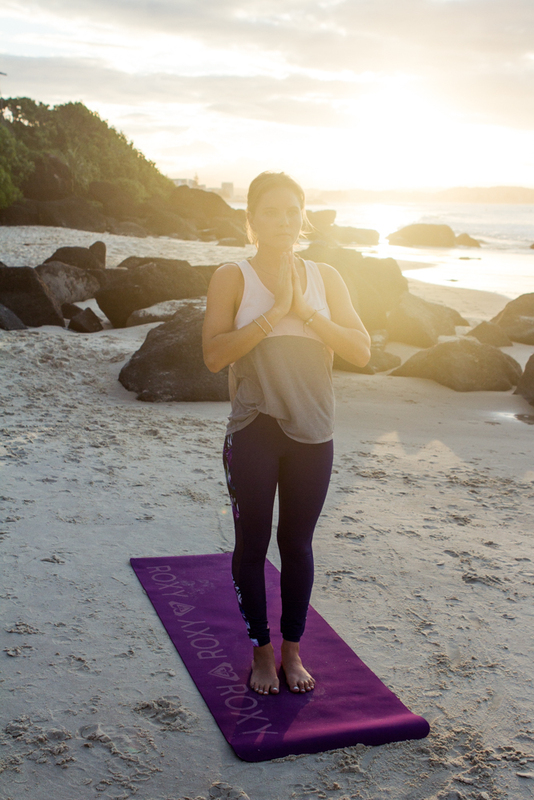 Step your feet forward to stand at the top of the mat. 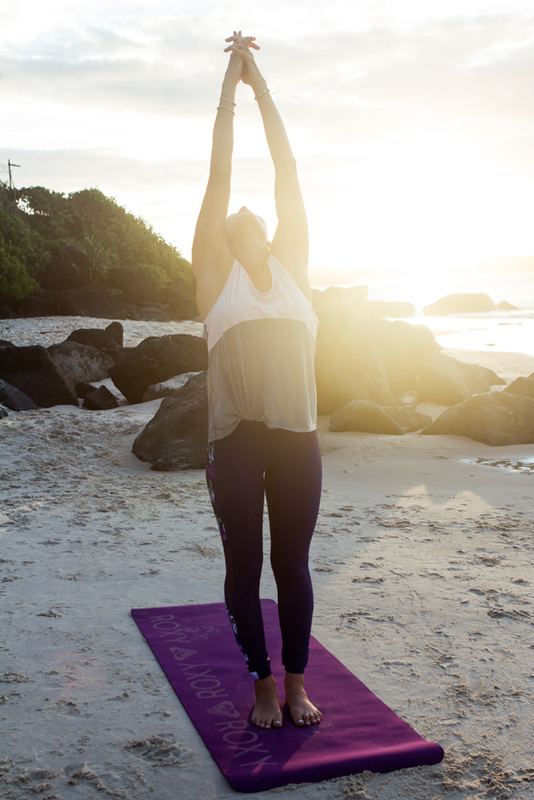 Stand tall and reach high, exhale and fold to the floor by extending from your hips. Inhale and rise to a half fold, keep your back straight and slide your hands to your shins. Repeat 2-3 more times.